We were lucky enough to spend 1o days exploring the Galapagos Islands in October this year, and whilst its not typically renowned as a cheap travel destination, as we found out – it’s definitely possible to enjoy the islands on a backpacker budget. This post is all about how to get to the Galapagos, what to do once you’re there and where to make sure you visit on a shoestring budget. We spent 5 nights on a cruise which was a bit of a splurge (although worth every penny), followed by 4 nights on Santa Cruz Island and a day on Floreana. Whilst we did spend more than we had anticipated thanks to the cruise, it’s certainly possible to visit the Galápagos Islands without completely breaking the bank. It’s a destination where you can plan to spend more than in say Bolivia or Cambodia, but it’s definitely affordable if you’re careful and I’d say it’s no more expensive than somewhere like Argentina. We’re writing a separate post all about our cruise, so this post will just touch on how we booked it and got a decent deal. Our 4 nights on Santa Cruz offered really good value for money and using this island as a base while enjoying some island hopping days out is a great way to explore on a tighter budget. Visiting in October worked out really well for us as it’s off season, meaning a lot of places had deals on to drum up more business before peak season started in December. We were still lucky enough to enjoy some great weather as well as good deals! It’s also worth us mentioning that this is an extended version of this post that we wrote for the lovely Steph at Big World Small Pockets a little while ago. Why Include the Galapagos on your Backpacking Trip? The Galapagos are a group of volcanic islands located in the Pacific ocean around 1000km from mainland Ecuador. Whilst the Ecuadorian mainland is a hugely popular destination for backpackers, not so many make it out to the islands. 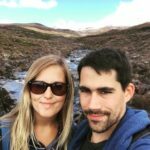 We met a few on our travels, but many people we spoke to on our journey through South America hadn’t even considered visiting due to it being perceived as expensive to get to and even pricier once you get there. The main reason people visit the islands is for the wildlife and pristine natural landscapes. Made famous as a destination explored by Charles Darwin on the voyage of the Beagle, the Galapagos islands boast a huge number of endemic species that just can’t be seen anywhere else – from enormous land and marine iguanas to incredible birdlife and giant tortoises and sea turtles. Millions of dollars have been invested into protecting the Galapagos islands and some of the sights you can see are just unbelievable – hence we feel so passionately about promoting sustainable tourism to the area and encouraging fellow backpackers to visit. There are 18 main islands in the archipelago – the populated ones being Santa Cruz, Isabela, San Cristobel and Floreana. It’s pretty easy to travel between them by boat on various day trips and cruises, and you can see some awesome things on each island. Money – US dollars are the currency and it’s very much a cash only kind of place, with card usage often carrying a hefty surcharge with it. Also if you’re planning on booking any last minute tours these will almost always need to be paid for in cash so make sure you have plenty available. There are a couple of banks, including Pichincha and Banco Pacifico, which are a short walk from the town centre and open 8am-4pm most days. There are also ATMs next to the supermarket by the main pier, although we found some of these charge transaction fees. Internet – internet on the Galápagos as a whole is either non existent or pretty poor, which I guess is to be expected when you’re in the middle of the Pacific ocean on a tiny island. We found the bars on the front to have the most decent connections, and the ‘Cyber Galapagos’ Internet cafe is also fairly reliable at $2.50 per hour. Sustainability – responsible tourism is something really important when it comes to the Galápagos Islands. The site as a whole is a UNESCO world heritage site and was only removed from their list of endangered sites in 2010 after serious attempts by locals and scientists to behave in a more sustainable way. It’s a tricky one as the tourism industry causes so many of the problems faced by the islands, yet it brings in huge revenues to help preserve and maintain them as well. Basic considerations include keeping your distance from the animals, not dropping any litter and using responsible tour companies. Many sites can only be visited with a licensed guide so be aware of this. A list of the Island ‘Rules’ is available here. The islands are located on the equator and due to the currents that circulate, the climate is variable. The most popular months to visit are July & August (due mainly to summer holidays), and December – February. Seasons are simply split into cool and dry (June-November) and warm and wet (December-June) – although as many of the locals said while we were there, the weather as whole can be pretty variable and is generally good year round. The main considerations will be based on what type of wildlife you want to see more of if there’s anything you’re dead set on seeing – there’s an awesome infographic here to help you out with when to visit based on wildlife and migratory patterns. We got to see some fur sea lions with their babies while we were there which was really special. However, we pretty much just missed whale season, so make sure you do your research if there are species you are dead set on seeing. We visited in mid October and it was perfect. Not too hot at around 23-25 degrees celsius and generally sunny and not too windy. I think out of 10 days on the islands we had 2 cloudy days and every other day was clear, warm and sunny. The main reason to avoid this season is the water temperatures – due to the currents the cold season means the water is incredibly chilly and visibility can be poor, even if the air temperature is comfortable. If you’re there for diving and snorkelling the warm season is definitely recommended! 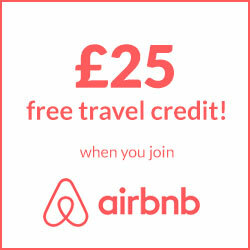 As we’ve mentioned, many are put off visiting the islands after taking a cursory look at the costs of getting there from the mainland, and it’s definitely worth booking as far in advance as possible to make savings. This will probably be one of your main expenses, and there are a few bits to bear in mind when you’re booking your trip. Firstly, in spite of my sister’s valiant attempts to try and board a ship to get there (! ), the only feasible way to reach the Galapagos islands is by air. Three airlines – TAME, Avianca and LAN – fly daily from both Quito and Guayaquil, and costs can vary from a couple of hundred dollars to over five hundred depending on how far in advance you can book. Most people we met in Guayaquil were there purely for the fact that it’s the cheapest place to fly into the islands from, so our first tip is to base yourself here for budget flights. We paid just $210 each including taxes for return TAME flights from Guaquil to Baltra 3-4 months in advance of our trip. The cheapest flights we could find were on expedia.com and were less expensive than equivalents we found on skyscanner and cheapflights which was a surprise. The flight itself is only around an hour and a half – but remember the time difference is an hour once you arrive! When you reach the airport in Guayaquil you’ll need to buy a Transit Control Card. These were introduced to help manage immigration from Ecuador to the Galapagos Islands – it’s a popular destination for Ecuadorians due to the laid back lifestyle and high wages from tourism, and illegal immigration was common in the past. The card costs $20 per person and needs to be purchased prior to flying. In Guayaquil airport there’s a small desk in between the main check in desks where you can buy your transit card and also have your luggage checked to ensure that you’re not taking any organic material that could harm the endemic species. You’ll also need to budget $100 per person for the National Park fee – which is payable when you arrive at the airport on Baltra island. Be prepared to pay this before you arrive as they accept cash only and it needs to be paid as you’re heading through passport control. Bonus to that extra cash on top of your flights is that you get a cool new passport stamp! And of course, it’s a contribution to a great cause – you can read all about the way these fees are invested to help protect and develop the islands here. Finally for this section – getting to Puerto Ayora – be prepared for a bit of an adventure getting from Baltra airport to Puerto Ayora unless you’ve got a tour and pick up prearranged! You have to get a bus just outside the airport terminal down to the dock which takes around 5-10 minutes – although the buses often don’t leave until completely full. These buses are free of charge. Once at the canal a ferry crosses to the other side which costs $1pp – again, these tend to leave when a full flight has arrived or is due to depart based on them having enough people on board to make the trip. If you’ve got a flight to catch make sure you leave yourself plenty of time on the return journey as our tour guide told us that many including him have missed flights due to the buses and ferries casually waiting around for enough passengers to make the trip worth their while! Once you reach Santa Cruz – Yay! – you’ll need to find a way to get from the ferry port across to Puerto Ayora which is around 40kms. The buses cost $2 per person but again, don’t seem to have any sort of timetable and take around 1hr 20mns so a taxi is often easier and takes about 40mns – often lots of people to share with as well if you get chatting. The taxi is more expensive at $18, but if you can share between 4 people it’s not so bad and is far quicker. 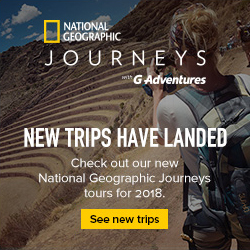 This journey is awesome as you start to see the Galapagos landscape change on your journey across the island, and often you can see giant tortoises ambling around the roadside. Whilst there’s lots to do on Santa Cruz of course there are many other islands to explore! If a cruise is out of your price range, some island hopping might be just the ticket to let you see some more of what the Galapagos has to offer. It’s still not cheap, but it’s a really good way to see different islands without breaking the bank. Lots choose to do 2/3 day trips instead of investing in a full cruise. The inhabited islands like Isabela, San Cristobel, and Floreana are very easy to reach by speedboat which costs around $30 each way and you can even stay a night or two to explore independently. There are hostels and homestays available on all of the inhabited islands, and we would have done this had we not opted for a cruise. All the local tour agencies also offer a massive range of organised day trips to different nearby islands which include transport to and from Puerto Ayora, lunch and a couple of stop off points for guided tours – they also tend to offer an opportunity for snorkelling which is always worth doing. These typically cost between $100 and $170 depending on your negotiating skills! If you do decide to try a cruise there’s many options available – from around $200 for a couple of nights on Isabela, to $$$$ for full luxury expeditions lasting up to 10 days. It’s slow going booking in Puerto Ayora as you have to trek round different agencies to find out their prices and what’s on offer but you can get far better deals than back home or even Quito / Guayaquil where many companies sell ‘last minute’ trips. The negotiating isn’t the easiest thing in the world and I hate it at the best of times but we managed to get the last 2 spots on our 5 night trip on a tourist superior class boat from a reduced price of $1300 to $980 per person. We paid a bit of a premium to see some of the islands further to the west of the archipelago which are quieter, not so easy to access and host some spectacular wildlife. Many of the islands to the east can be visited on cruises at much lower costs – we were offered 3 nights cruising and 2 nights on land for $700 all inclusive and met someone who paid just $500 for a basic cruise. If you’re happy with basic accommodation and meals ‘tourist’ class boats also offer bargain prices which are much better suited to those backpacker budgets! Whilst the prices are pretty steep even at the last minute for some routes, it truly is an amazing way to experience the Galapagos and it gives you the opportunity to see and do so much. It’s also worth bearing in mind that it means you don’t have to think about food, drink (non alcoholic) or accommodation costs while you’re on the boat. Top Tip – take alcohol with you if you do opt for a cruise as drinks on board are another pricey extra. Santa Cruz – the main island, this is great for cheap accommodation, awesome happy hour cocktails and sea food, as well as for discovering more about the history and ecology of the Galapagos Islands. I don’t think I’d want to spend more than a few days here, but it’s a good place to get a taster of the completely unique landscapes and wildlife of the islands. Use Puerto Ayora as a base for further exploring, and make sure to explore some of the inland destinations we talk about below. Floreana – this island has an extremely rich human history, beginning as a popular stop off point for pirates and whalers since the 19th century. They began a tradition that is still maintained today after using a wooden barrel to store mail to be picked up and delivered. If you visit Floreana be sure to drop an unstamped post card in the post box for tourists from its final destination to pick up and hand deliver. Sadly there weren’t any for our next stops but maybe next time! Inhabited by some famously eccentric Germans from the 1920s, this island has even inspired a book – The Galapagos Murder – which is worth a read before you visit. It’s just a couple of hours on a speedboat from Santa Cruz and $100 – $130 for a day trip. Isabela – this is the largest island in the archipelago, and also one of the youngest. No visit is complete without a hike to the top of Sierra Negra – one of the five active volcanoes – and the second largest caldera in the world. The views are incredible, and you could even see a live eruption – the latest one just 11 years ago in 2005! The wildlife here is also amazing, we enjoyed some brilliant snorkelling and saw giant tortoises, white tipped reef sharks, flightless cormorants, golden cow nosed rays, sea turtles, penguins, blue footed boobies, Nazca boobies and so much more. If you’re not planning on a cruise, I’d recommend at least a couple of days here. Fernandina – famous for its recent appearance on Planet Earth 2 was absolutely spectacular – we saw both snakes and iguanas, although thankfully no animal on animal murders – Fernandina is one of the most amazing places we have ever been to. With a volcanic landscape like no other, and only one port where a limited number of boats can dock, we saw thousands of marine iguanas, sea lions with their cubs, sea turtles, snakes and Galapagos hawks. It’s the youngest island, an active volcano, and most famous for its rocky and barren landscapes where you can hike across the lava fields and spot wildlife. Santiago – this island also has some impressive landscapes, with unique ash mountains that were first written about by Charles Darwin after his visit to the Galapagos. It’s a great place for wildlife hikes and snorkelling from the black sand beach. 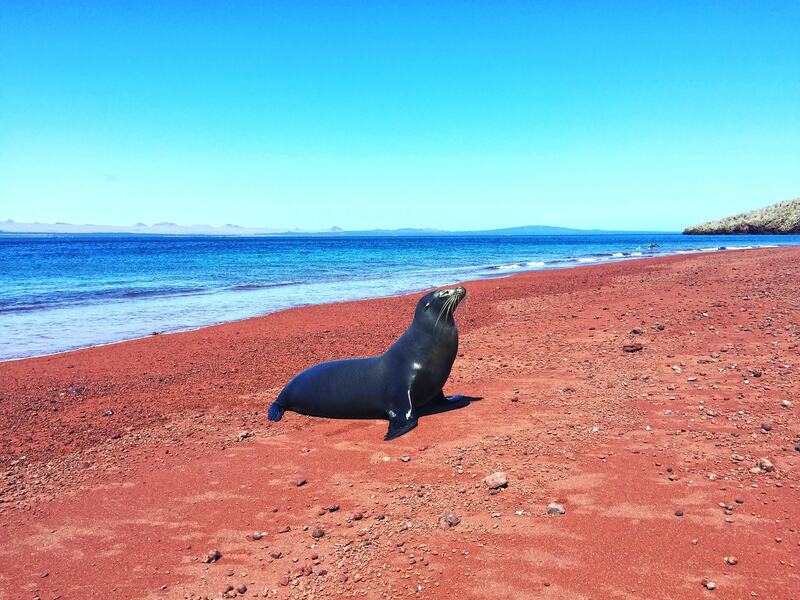 Isla Rabida – one of our favourites, this small island has an incredible red sandy beach and is home to many Galapagos sea lions. We also had our best snorkelling here with great visibility, and saw enormous rays, white tipped reef sharks and an array of tropical fish and sea turtles. It has to be said that the most amazing thing about the Galapagos islands is just how close you can get to the wildlife. North Seymour – we only had a quick visit here and enjoyed an early morning nature walk where we were able to see some new bird species. It’s small island and a popular nesting site – you can often see pelicans, frigate birds, blue footed boobies, swallow-tailed gulls and Nazca boobies. We were also lucky enough to see some fur sea lions and their cubs. Santa Cruz is the main inhabited island of the Galapagos and the nearest to Baltra airport where tourists typically arrive. Puerto Ayora is the biggest town where most hotels, bars, restaurants and tour agencies are located and is where most people end up staying. We spent 4 days here, so most of our advice is on how to enjoy your time on this island as opposed to some of the other inhabited islands that you can visit. Tortuga Bay – this is an easy hike from town, it takes around 30 minutes to reach the bay followed by another 20 minutes along the shore to a beach where you can swim as the currents can be dangerous in some spots. The hike is along a paved path with lots of signposts with information on animals and wildlife along the way and the beach is stunning with soft white sand and crystal clear waters. We went on a cloudy day and still had a great time swimming and sunbathing. Charles Darwin Research Centre – around 10-15 minutes walk from the town centre, this is a scientific centre set up for the conservation of many of the endangered species on the island. It’s free to enter although donations are encouraged and you can see land iguanas, giant tortoises and plenty of finches and mockingbirds. It’s an easy way to spend a couple of hours and it’s interesting to get an insight into the work that scientists are doing in the area. Santa Cruz Highlands – we didn’t do this as we imagined it would be similar to Floreana, but it’s easy enough to get here by taxi or on a tour and you can expect to see plenty of giant tortoises as well as a greener, more lush landscape. Las Grietas – another place we meant to visit but didn’t quite get to, this is a great hike past lava formations and through cactus filled landscapes to a stunning gorge where you can swim or snorkel. We met a few people who really enjoyed a few hours here and it’s pretty easy to get to. The Flamingo – a hotel with adjoining hostel, we stayed for 4 nights and paid $30 per night for a room that included air con and hot water. Worth mentioning that hostels don’t typically include breakfast unlike other South American countries we’ve visited so budget for that as well! From what we heard from other travellers pretty much all hostels are around $30 per night and offer similar facilities so it’s probably not worth trekking round loads to try and find a deal. I know this is a budget blog but thought I’d throw this out there in case you decide to treat yourself! My sister stayed at the Red Mangrove when she visited and had an incredible time – they also have a sushi restaurant that’s supposed to be excellent. As you can expect, the bars along the front are the more expensive places to eat and may be worth avoiding if you’re on a tight budget. They are pretty good for drinks though with most offering decent happy hour cocktails at 3 x $10. We also enjoyed some amazing sushi at ‘Galápagos Planet’ for around $40 – they do a 2×1 offer on their platters several days a week and they are well worth a little splurge. Cheap restaurants or ‘kioskos’ abound a few streets back from the sea front on Avenida de Charles Binford. There are about 15 places offering delicious seafood and other dishes for $8-$20 depending on what you fancy. We particularly enjoyed Kiosco de Renato and Kiosco Voluntad Decided Dios. They’re great if you like the idea of picking your own fish / lobster and seeing them cooked fresh before your eyes. For even cheaper options many shops sell fresh empanadas for around $1.50 – $2 each and the supermarket near the bay offers a particularly good range of fresh baked pastries as well as fruit etc for lunches on the go. Also worth mentioning that we had an incredible breakfast at La Giardina – it’s on Avenida Charles Darwin near the handicraft market, and whilst it totalled around $9-10 each, it was the best breakfast we’ve had in a while! I had American style pancakes with syrup and fresh fruit, whilst Rob had traditional eggs and bacon – the coffee was great as well. Definitely one to visit! Thanks for all the tips! It soumds great! I’m really looking forward to using some of this information!!! Thanks for the comment – yes it wasn’t the best idea – but after travelling for months you sometimes just want to eat some food that is familiar, especially if you are ill. This happened a few times during our travels – we’d eat local style food 90% of the time but sometimes you just want something that feels like home, whether it’s a coffee or a stack of pancakes. Also, they’re quite well advertised for the American tourists and are actually reasonably priced which is always a plus.